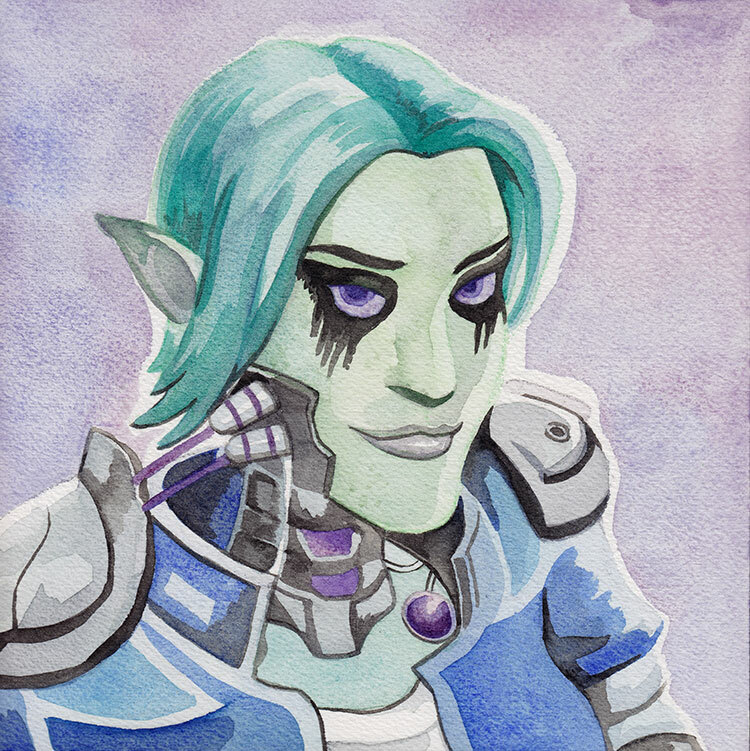 The other day I had some spare time and felt like painting, so I did a quick painting of one of my Wildstar characters and then started another of my friend Grace’s character. Hers ended up being a bit more involved and I just finished it today. It’s 7.9″ x 7.9″, watercolour with an undersketch done with watercolour pencils. This was something it had never occurred to me to use them for, and I like it pretty well so far compared to regular pencil. The major downside is that there are sometimes places where you can see the colour of the original pencil (such as her left cheek highlight) and for that it’s less than ideal. But if I’d used regular pencil you’d see the sketch all over, so I don’t know. I think I’ll keep experimenting with it.